In the Rider-Waite card we can see someone being guided on a journey to an uncertain place but the Crowley card suggests using this power for yourself. If we compare the card ‘Two of Rods’ from these Tarot decks, we see that the Rider-Waite deck shows us balanced energy and considers where to go next. 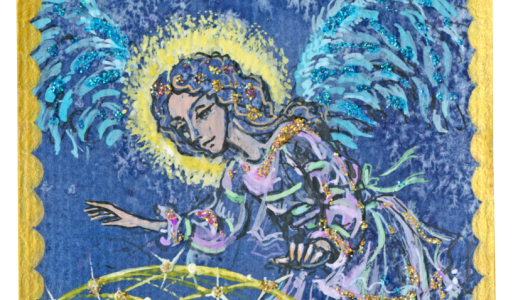 In the Crowley card we see this energy as a crackling, uncertain force, lacking direction. 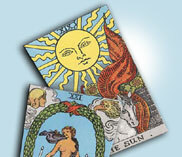 So we can see that once you have made your choice it is best to stick with it and use only one Tarot deck. To try and use two would be like trying to learn two different languages at the same time! 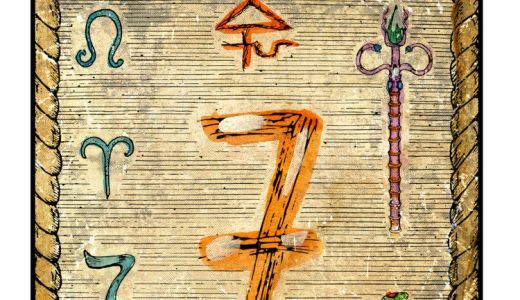 Learning the Tarot takes a little time but it is well worth the effort. When you have bought your Tarot deck it is advisable to psychically ‘cleanse’ the cards. This is perhaps best done by holding them in incense smoke for a time, or letting the smoke from a smudge stick fan over them. Such sticks are usually made from Sage, which has excellent cleansing properties. You could leave them on your window sill overnight, where the light of the Moon will fall on to them which will also help. Hold them in your hands and ask for any energy imprints to be removed from them. Then spend time handling them, shuffling them and making them yours. This will all help the link you have with your Tarot cards and make them feel as special and sacred to you as they should be. Of course you don’t have to do any of this, there is no rule to say you must do and there is nothing to stop you unwrapping your cards, shuffling them, laying some out on your kitchen table and reading them. The Tarot will always give you the truth so long as you are sincere in your approach and question. 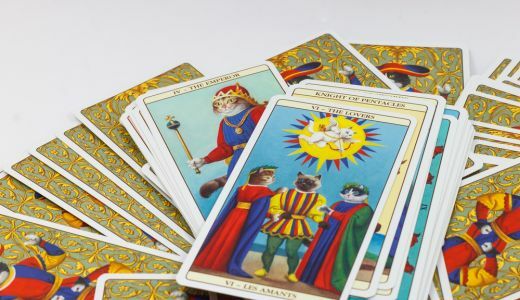 One last point I would make is that if you are not sure about which Tarot deck is right for you on your first visit to the shop, leave and return another day. If your choice is between two or three decks, which it usually is, you may need a little time and a second viewing before you have an inner sense that tells you, ‘this is the pack for me’. If you do not have such a feeling, then it probably is not the pack for you. There is a saying in occult teaching that says when the student is ready the teacher appears. Perhaps we can adapt this to read when the student is ready the Tarot appears! Next time we will look at how we start using our Tarot cards. In the meantime happy hunting!